The 2016 Black Friday is just around the corner (with Christmas also approaching) and perhaps it's a good idea to take a look at what kind of deals a Nikon photographer should keep an eye on. We've got quite a few exciting things in 2016, so it's time to peek inside the bag and see what's there. Let's take a closer look at why these Nikon products are intriguing, and whether you should get one for you, especially now. 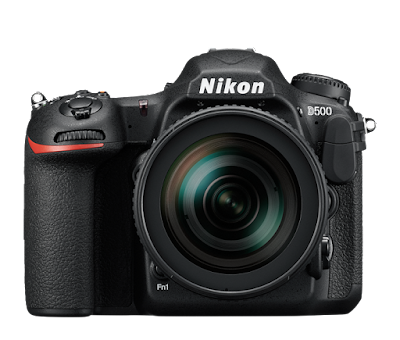 1) The Nikon D500 needs no introduction. It's the long-awaited successor of the incredibly successful D300, the DX flagship. If you are a DX user thinking of whether the time is right to upgrade (particularly coming from a D7100 or D7200 model), I think it is indeed the right time. The D500 is a brand new model - but still tested and without any design issues (a la D600) - yet the fact that a few months have elapsed since its introduction means that the price of the Nikon D500 has already dropped. Perhaps the Black Friday of 2016 is indeed the right time to get this camera - I'm an FX user, but if I shot DX I would definitely grab one. 2) The PC Nikkor 19mm f/4 is a very exciting Perspective Control lens. With perspective control lenses you have a lot of creative freedom in terms of controlling... well, the perspective. This is particularly the case with a wide-angle lens, such at this specific one, as it allows you to keep your lines the way you want them. It's a bit like the related tool in Photoshop (and other such software), only of course offering a true full-frame image without any degradation in image quality. Photoshop's perspective correction tool fixes the perspective, but at the expense of image quality issues and, of course, loss of image area. 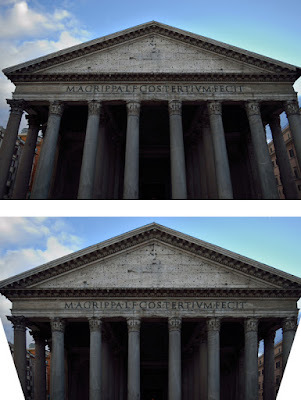 Photoshop can change the perspective, not produce an image that wasn't captured! Of course the big issue us, do you need a perspective control lens? Chances are, if you have to wonder then probably you don't. If you need it, you kinda know it already. If you want to experiment with a perspective control lens, pick an old used one - such as the Nikkor 28mm f/3.5 - and see for yourself without going bankrupt. 3) The Nikkor AF-S 105mm f/1.4 is a truly exciting lens. It's up there with the 85mm f/1.4, only slightly longer. It basically boils down to your preferred focal length (20mm might not look like a lot, but portrait photographers know it can be important). I haven't had the time to try one out yet, but at this level you should really expect the best. If your gut feeling tells you you'll like to try one, give it a shot. I think Black Friday is a great time to do it, because it will probably be the only chance for a while to get some good deals, since this is a brand new lens. 4) Nikon KeyMission 360. Ah, an interesting product by Nikon, entering this new-ish segment of the market. I have no opinion on the matter, as not only have I not tested the KeyMission myself, but I do not use such 360-deg cameras overall. I'd probably pass on that one, but that's more a matter of personal preference - if such cameras are your thing, you might wanna take another look. Having said that, it's a very new product so I don't think its price can drop significantly. 5) The Nikon DL24-500 f/2.8-5.6 is an unusual camera. It's basically the beefier, most powerful compact Nikon has ever put forward, sporting a large (for a compact) CX sensor and a ridiculous 24-500mm lens. It's still portable, but it's also very expensive. Having said that, for some people or for some occasions this will make way better sense than any DSLR. If you're a casual photographer but avid traveler this might worth a look - keep in mind that this camera is only at the pre-order stage yet, which means that I doubt there will be any significant offers during Black Friday. Of course, just because a product isn't brand-new, it doesn't mean it doesn't deserve your attention. On the contrary, products that are just a bit older (say a year or two) will probably be part of some pretty aggressive price drops in this Black Friday. This is particularly the case for DSLR cameras whose upgrade has already appeared, such as the D5500 - Nikon will like to empty the inventory, so if you're looking for an excellent deal on a new camera which is 99% the same thing as the upcoming model, now's your chance!